Beautiful home in desirable Timberstone neighborhood. Spacious family room with wood flooring and a cozy fireplace surrounded by built-in shelving that includes a recessed flat screen TV. High ceilings with crown moldings and plenty of windows to bring in natural light. Kitchen has solid surface Corian countertops, an island with sink,plenty of cabinets and large pantry. The spacious dining room is great for entertaining. Master suite has tray ceilings, newly remodeled bath with granite counter tops, raised sinks, and a walk-in closet. Third bedroom or office in finished basement with additional family room, egress windows, rec room, and lots of stroage. Enjoy relaxing in the four season room overlooking a professionally landscaped private yard. Garage is slightly oversized for added space. READY TO MOVE IN!! 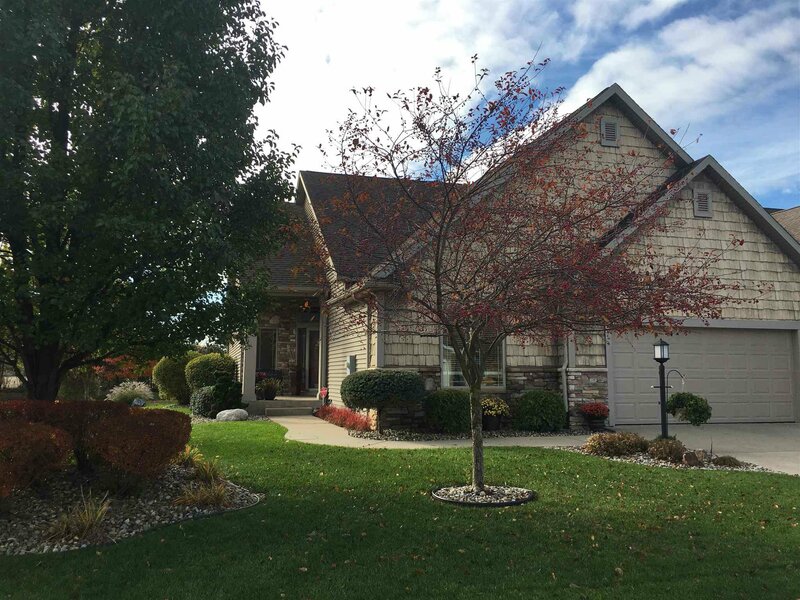 Listing courtesy of Berkshire Hathaway HomeServices Elkhart. Selling Office: SUNRISE Realty.